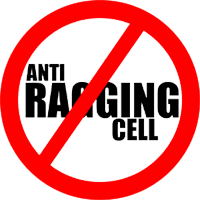 Ragging is prohibited in any of the hostels and inside or outside the faculty premises. himself/herself or encourage anyone else to participate or conduct ragging of any other student, either actively or passively. An F.I.R. under the relevant provisions of law shall be filed with police against the guilty student and, he/she shall be punished in accordance with regulations of About College.